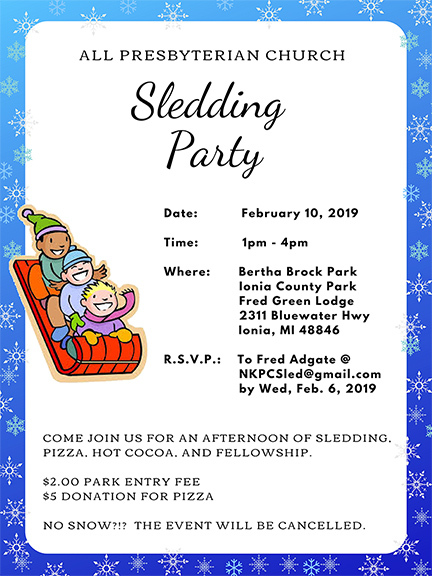 Area youth can slide into some simple winter fun Sunday, February 10, as the North Kent Presbyterian Church hosts its annual sledding party from 1 to 4 p.m. at the Bertha Brock Park in Ionia. “It’s a low budget, low maintenance event to get our youth and families out having fun together,” says organizer and North Kent member Fred Adgate. 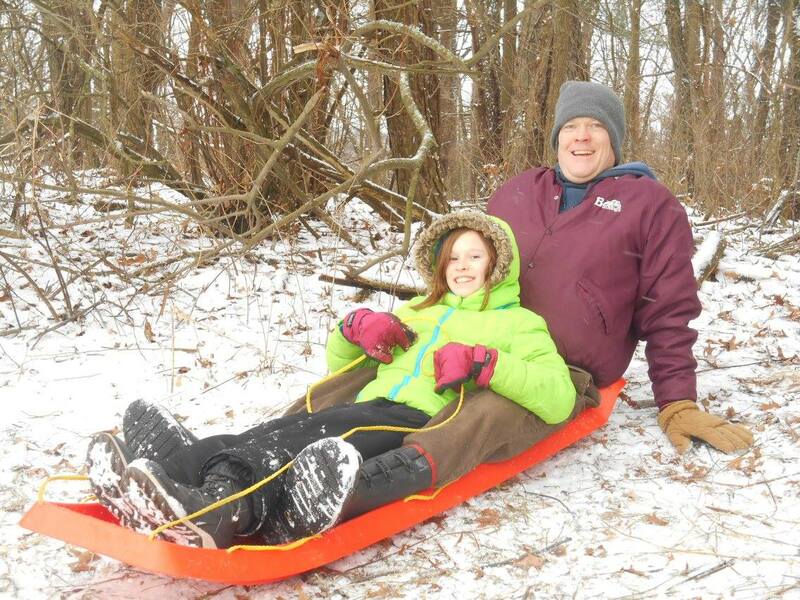 Adgate, who grew up at First Presbyterian Church in Ionia, has sledded the hill most winters for more than four decades. About 5 years ago, he helped organize a party for North Kent youth on the huge hill that has no trees in sight. Participants will gather at 1 p.m. in the Fred Green Lodge near the sledding hill for a pizza lunch and then hit the slope until 4 p.m. 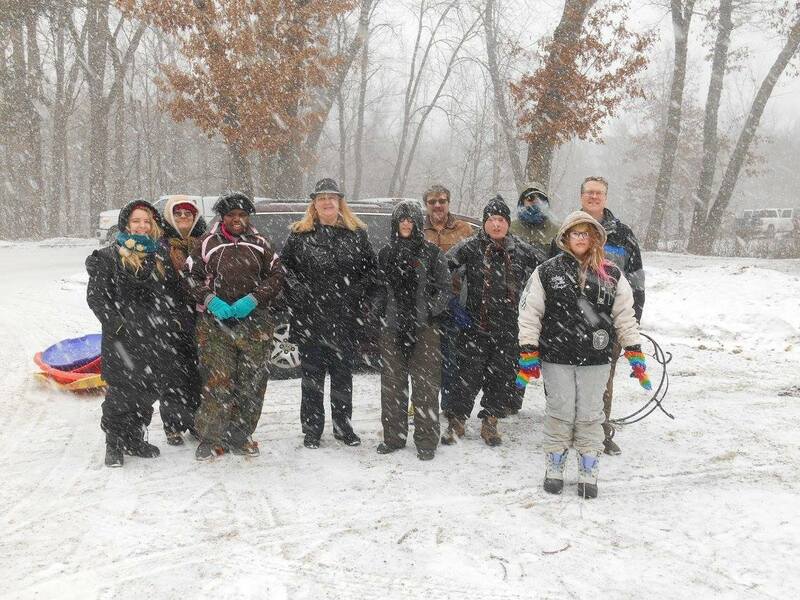 There is a $2 charge to enter the park that is located at 2311 Bluewater Highway Ionia MI 48846 and operated by Ionia County, and a $5 donation for pizza. Families or youth groups who want to join the fun are encouraged to send a message to fredadgate@yahoo.com so enough pizza can be ordered.